come on angel show yourself.you need to home soon.......NOW. Owner do get in touch with Simon the owner of missing Sal as you are so close. Sorry Cesky-have just seen you have left a message on Sals page already. Thanks-dont forget Sal the Husky cross from nearby as well. Thanks Mickity! 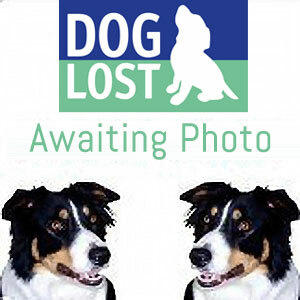 Could owner please let us know which street the dog went missing from please-request from local helper. My wife and I are registered implanters in the Nottingham area, we are always on the lookout for the missing dogs we get told about through texts and emails, I myself am fortunate to work for myself thus giving me the freedom to become a missing dog detective so to speak. We both carry microchip scanners at all times to check suspected strays or missing loved ones we are lucky enough to come across, we can also inform the worried owners within minutes once we contact the national database. We hope this is some comfort for owners who are suffering at this time. Mick & Margaret. Hurry Home Angel, she is lovely, I think most Staffies are cuddly around the middle, mine could certainly pinch more than an inch but then so could I. Hope she returns soon I am too far away to be of much help. oh you dear girl,what happened and where are you.staffs do like to carry a little cuddle.....please stay safe and be home soon. Aww Fingers crossed she is found soon. I have notified friends in the nottingham area. Poster has been e mailed out to over 140 local helpers and organizations. Angel's owner can be contacted on 0115 929 2195. Awaiting photo.